From I-8, take Exit 115 and follow signs to AZ-85 South and Ajo. The base gate is about 2.5 miles South of I-8. After gate check-in, follow signs to Desert Hideaway Inn lodging office (Bldg 4300) for site registration. The office is on the north side of the building at Fourth St and "I" St, about two blocks beyond (east of) the campground. If arriving after hours, Front Gate Security Forces will log your entry onto the base and pass this info to the lodging office; you will be expected to pick up an RV payment envelope in the office entry and submit applicable payment. Wi-Fi signal is available in/around the Lodging lobby. 30 day stay limit in FHU if full. Maximum famcamp stay is 180 days. May only use dry-camp when FHU sites are full. No restrooms or showers. No base services. Had read about this place several years and wanted to try it on way to Scottsdale. All info and reviews on this website are accurate. Nothing much in the way of amenities, but an interesting, quiet place. Last hookup spot was taken just before we arrived, so we dry camped. We were told to just find a spot and park, then pay in morning. Well worth the $3. We decided we could dry camp here several days sometime. We just lined up on the end of the hookup sites. Interesting to see the F16s making passes over the runway. Can't see that everywhere! We'd stop here again. ...nice spot in middle of nowhere. We were looking for a place to sit and relax for a few days. Not much to do here, but you can get a permit to go downrange to sightsee and hike. No TV reception unless you have satellite. No Wi-Fi. 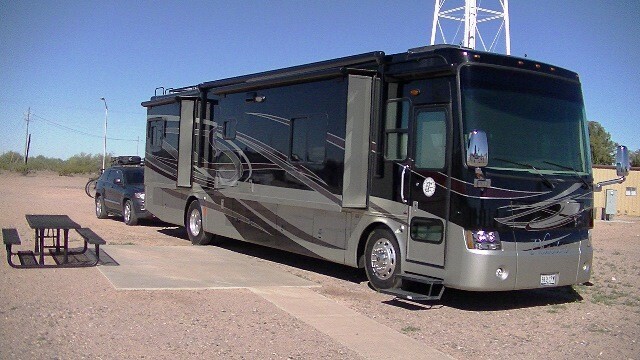 Spacious and roomy sites --- pull throughs and back-ins. I would stay here again if in the neighborhood. 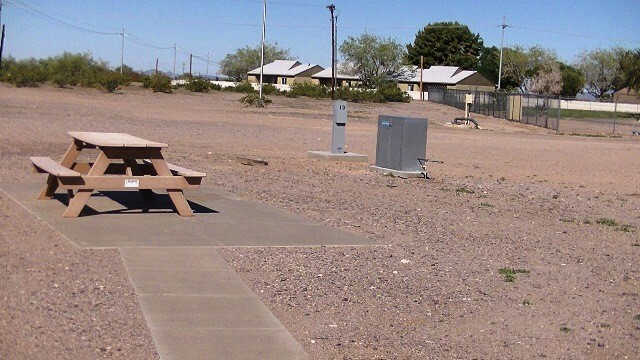 Auxiliary base has no amenities, 4 miles from downtown gila bend ( lol). Large sites, couldn’t receive tv reception with antenna, other wise great price at $10 @ night. Pam checked us in at lodging/famcamp office, provided info on rv tire purchase due to blown tire. The major improvement made in Fall was all new asphalt paving of road and parking bibs (see FamCamp Map download). Main sites (1-34) are super roomy; were formerly mobile home sites before conversion to RVs. The entire campground is flat and gravel-covered so all sites are more-or-less pull-thrus. Pleasant office staff there now, who actually check the camp each day. Most evenings a number of campers gather at the far end of the loop for a group campfire - all are welcome. Very quiet base and campground except for the occasional daytime training jets. Comment below about no grocery in Gila Bend is true, but there is a Family Dollar store on the main street with reasonable assortment of food and supplies. We stayed one night each on the way to and from San Diego. Three miles south on South Highway 85. Easy to find the FamCamp. The gate guard provides directions to the campground. If you cannot find the office, ask a resident. They will point to it. The nightly rate is $10 for full hookups. Some of the spaces require a tool to turn on the water. Be sure to ask. They have a reverse osmosis system because of the hard water native to the area. Amenities are few because this is a Reserve base. Just the campground basically. We found the folks we dealt with on base to be friendly, helpful, and happy to be there. We spoke to some of the longer term campers and the nearest shopping for food is Buckeye about an hour to the north on I-10. Gila Bend has no grocery store. As of Nov. 16 it is open again, with some new gravel on the exterior spaces, nothing done to the interior row. It is again occupied by the same sometimes clickish, and sometimes rude walk thru your space, barking dogs, tie up the laundry all day people that are alsways there, We had not stayed there in a few years, so we stayed a few days to see if anything was new, not so much. Missed looking at the Sept 2016 review below advising the FamCamp being closed for a couple months. 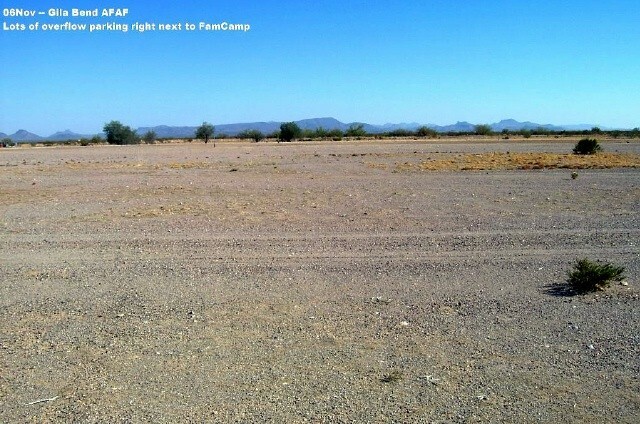 So were bummed when we learned at the front gate that FamCamp was closed. We did take a drive past the campground and they were busy working away at getting sites paved. We like this FamCamp and hope it doesn't change too drastically. This famcamp is closed for 2 months, it might reopen in November. 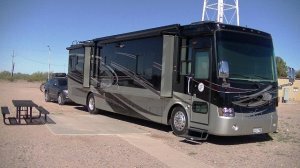 If you're going through Gila Bend, the Holt Shell RV Park in Gila Bend is outstanding and very accommodating all sites are pull through. They charge $19 per night but it is easy in and easy out and they have great WIFI and a restroom which Gila Bend doesn't have. 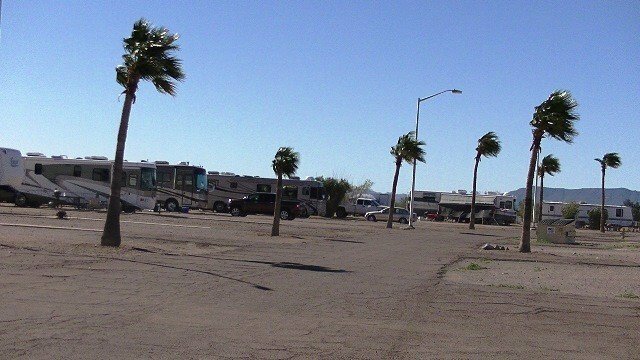 Their lot is so big you can stay outside the park and dry camp, well lighted. We last stayed here 11 years ago. The famcamp looks much the same as it did then but on closer inspection find newer electrical connections and an issue with the water system (guessing that water issue was here last time but no action taken). Was warned by a couple fellow campers that the water from the hose bib is not suitable for consumption (okay for showering and washing the dishes) and that the gray metal box next to the hook ups is for drinking water. You can’t hook up your water line to the drinking water but can fill a bucket or water jug from it. (We just purchased a couple gallons of bottled water to use for coffee and cooking.) We did remember to turn off the ice maker and based on comments from others will search for the ice machine. Wi-Fi in lodging lobby worked fine with the exception that I found some sites blocked. Was trying to look at some RV parks and they were blocked for some reason. We like this sort of no frills RV park that has the basics and within reasonable distance of things to do. We jumped on the bikes this morning and took a cruise around the base; there was very little traffic and we could hog the whole road if we wanted. Note: Found free ice and laundry. Nice little laundry room (3 each washer and dryer) with couch and small book exchange. Just stayed one night. Got in after dark. Check-in was nice, found full hookups and had a quite night sleep. Would stay there again, in the winter! Nothing fancy here. That being said, for your $10 a night, you do get good 50 amp electric service, sewer and water from a reverse osmosis system. Also, there's free laundry and all the ice you can use which you get at the lodging office. There are no reservations but we're told to call ahead to check on availability. Tried to call several times inbound but could not get anyone to answer. When we went to pay, in mentioned that to the desk clerk who shrugged her shoulders and turned on the answering machine. Luckily there were two open sites. We had dinner at the Little Italy restaurant in Gila Bend which was good and we noticed the small grocery store is now open. We will go back. This was my second time at Gila Bend. The staff was very friendly. My first visit was in the heat of the summer, only two RV were there. The temp was 117. This visit there were a number of "snowbirds" there. Very friendly group. The camp is a basic very basic, but at 10 bucks a night, it had everything I needed. Free Laundry. The electrical upgrades, completed since my first visit, were very nicely done. There's no WiFi there, The water is non-potable, but they do have a reverse osmosis system at each space for drinking water. Wow! This campground has changed for the better since our last visit. The recent electrical upgrades are great. Every site now has good 30 and 50amp electric. 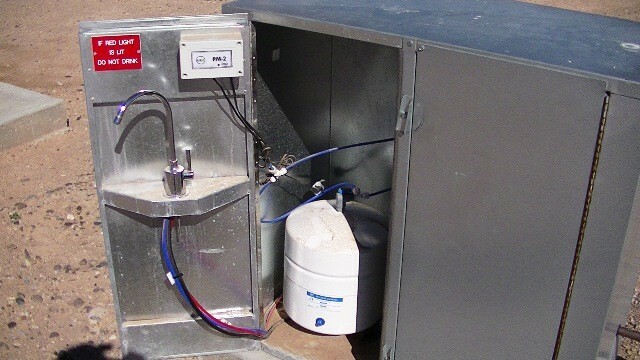 Since the water isn't the greatest, each site also has their own Reverse Osmosis system for drinking water. They've placed this system in a nice metal box at each site. Some sites do have the sewer connection in the way of driving into the site - be careful. The campground is mostly dirt and gravel. There's a very nice laundry room (free). The campground was about 50% empty when we arrived. The prices did go up from $7 to $10 a night for FHU. Considering the remote location and lack of other amenities, this is a fair price for the FamCamp. While some people stay here for months over the winter (snowbirds), there is a fair rotation policy. We arrived on a Sunday and easily did the self-pay at lodging. A very nice place to come relax and sit out the winter. There is some sight seeing nearby. Mexico and the town of Casa Grande aren't too far away. If we are looking for an affordable place to stay for awhile, we would consider staying here for a month or so. Great place to stay for a night. It was a great experience; every spot is very large with pull thrus - no backing up! Be aware that this campground has no amenities. Overall; it was a great place! It is located out in nowhere but the price was right. WAIT shocker they are raising the rate to 10 dollars a day effective 1 December 2012. What do you get for this 45 percent increase in rent. well maybe a couple extra dust storms, if you stay long enough some over 110 degree weather at night. Even the coyotes left. Rumor has it that work will be done here but I believe it when they do it. The continued raise in gas makes this not as nice a location as it was when the price was right. But hey I think this is a nation wide effort to screw military out of money as all the rv parks keep raising their rates to extreme rates they will be only afforded by retired flag officers and not enlisted. $7 per night for retirees with FHU. (pay at lodging office, box with envelopes if closed). Now there is an explanation of what FHU means here. Some pedestals are 50/30 amp, and some are 30 amp. Also boon docking sites if FHU are full (@ $3 per night). The water with pressure is either non potable, or very heavy in minerals with some arsenic. For pressurized water either use a key to turn water on (in laundry room), or use a 3/8 inch wrench/socket. Older people and children should not drink the pressurized water. However, each FHU site also has it's own dedicated reverse osmosis station for low pressure safe drinking water - just fill some jugs. Since we only came in for one night while passing through we just used our on board water tank and did not hook up to the pressurized water. No Active Duty on this base - all contractor operated to support the Barry Goldwater range nearby. This is a great place for a overnight or couple of nights, and some folks winter here due the to warm climate and low price. If you plan an extended stay just bring some water jugs to fill at your own individual reverse osmosis station. 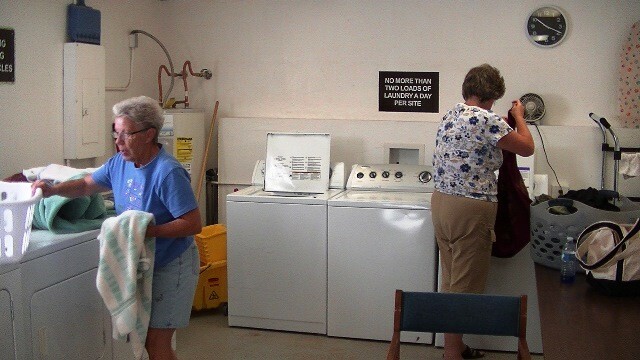 Free laundry - 3 washers, 3 dryers. The only reason I could see for staying at this FamCamp is that you could not find a WalMart nearby. This place is a dump. 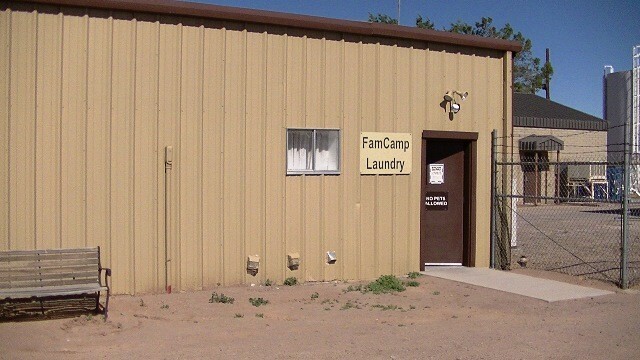 There is nothing here except a lounge at the nearby lodging facility, but a recently posted letter reminds you that the lounge is for Desert Sands Inn lodging residents and not FamCamp campers. So, the lounge/TV facilities are not for you. The water is unfit and the sites are very poorly marked and it is difficult to see where you should park. For information, the gate is over three miles (not 2.5 miles) down the road. The gate is not difficult to find, however, as you are in the desert by now. Getting to AZ-85 South can be tricky as you turn North first and then wind around to the South on AZ-85. To call this place a FamCamp is absurd. If I could rate it less than a "1," I would. The park is full and there are five of us dry camping at the moment. For us that's okay. We prefer to be out by ourselves. The wifi works from our RV, the three washers and three dryers are FREE and have been empty both times I've used them. The lobby in the lodge is open 24/7 with a TV for those of you without a satellite. We are unable to get any channels with our antenna so the TV with cable attached is allowing my husband to feed his football addiction. Gila Bend is small but has everything I need. There are two dollar stores, a grocery store, a hardware store, a Mexican, Italian, and American restaurant and a Dairy Queen and McDonalds, gas stations, etc. The town is five miles from the Fam Camp. Most of the people here come year after year and stay all winter. They tend to be friendly and look out for each other, with a couple of them being busy bodies. 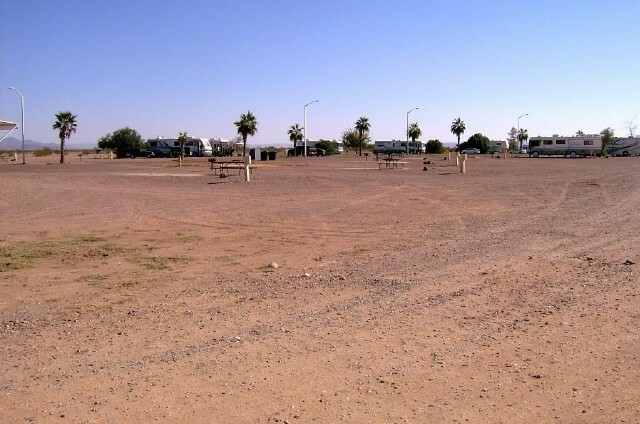 The park is an open desert field with hook-ups. It's quiet. And it is definitely cheap. We were the next ones to pull in after all the FHU sites were filled. We got the only site with electric only. We fill our fresh water tank from our neighbor's water and dump once a week at the dump station around the corner. Even though we have electric we only pay $3.00 per night. There is an abundance of coyotes. We had heard that in other parts of Arizona, but had never seen one. We have seen them many times here. They stay away during the day but come back every day as the sun hits the horizon. We keep our small dog on a short leash after dusk and make sure all three cats are in our rig as soon as the sun sets. F-16's fly over every day either doing touch and go's or practice approaches. The run way is right behind the Fam Camp and it is interesting to watch them. At least for me. 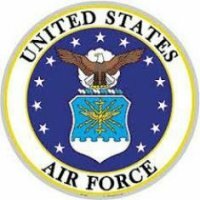 Hubby has been there done that having retired from the USAF. At $7.00 a night, the place can't be beat.